Introduction: At a recent conference Thomas N. Bisson introduced his paper “Institutional Structures of the Medieval Peace” by cautioning his audience that in his discussion of peace movements, peace associations, and peace institutions in southern France and Spain he would not attempt to relate his findings to “feudalism.” His approach was descriptive – and thoroughly enlightening – and no further reference to any ism occurred until the question period. 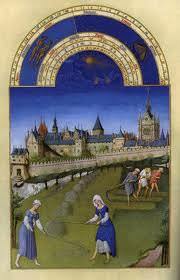 Then, bestowing the double-edged praise that is his hallmark, Professor John F. Benton asked how historians could have managed to overlook for so long such abundant evidence that would necessitate the revision of numerous lectures on medieval society. Responding to this remark, Professor Bisson again alluded to the eventual necessity of evaluating his conclusions with reference to the general topic of feudalism, but time prevented him from elaborating. It occurred to me as this interchange was taking place that the failure of historians to take account of the data used by Bisson may well have resulted from their concentration on feudalism – as model or Ideal Type – and their consequent tendency. to disregard or dismiss documents not easily assimilable into that frame of reference. Now were an examiner to ask who introduced the feudal system into England? one very good answer, if properly explained, would be Henry Spelman, and if there followed the question, what was the feudal system? a good answer to that would be, an early essay in comparative jurisprudence …. If my examiner went on with his questions and asked me, when did the feudal system attain its most perfect development? I should answer, about the middle of the last century.